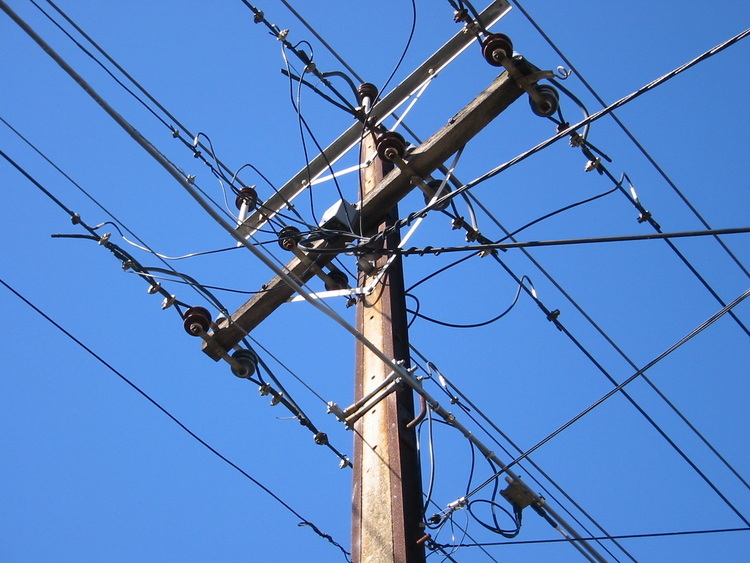 A mass of utility infrastructure (power, cable-TV, telephone) atop a Stobie Pole. Stobie Poles are a South Australian icon, and seem to be only used here. They are constructed from concrete sandwiched between steel rails. Fantastic picture. The essence of a Stobie Pole. Correction: "They're my ancestors who made that - my mum, Samantha Stobie, told me."